Here's this week's menu plan. It's the end of the month and my budget's getting a little tight, so I went for cleaning out the freezer and doing more low-price protein picks. 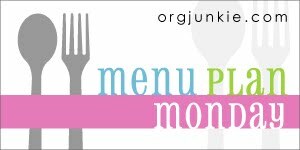 Check out more ideas over at Menu Plan Monday!